When it comes to gemstones, clarity refers to the internal flaws, known as inclusions, as well as external blemishes of a stone. Flawless colored gemstones are rarer than flawless diamonds. However, even though clarity is important in colored stones, it does not carry the heavy premium as it does for white diamonds. For example, a valuable emerald will be heavily included, since the natural process of emerald formation is violent, resulting in many natural flaws in even the most valuable of emeralds. In fact, according to GIA, a good quality emerald ranges from I1 to I3 clarity. In addition, lighter colored stones need to be cleaner, since their flaws can be seen more easily. Darker colored stones can hide their defects because of their depth of color. The location and the type of inclusion or blemish are important with colored stones. For example, a large crack on the surface of a stone can interrupt the movement of light through the stone, and may also weaken the stone's durability. A large crack would probably detract from the stone's beauty and reduce its value. However, if the crack is small and positioned in a less noticeable area, then it will not affect durability, beauty or price as much as a prominent flaw. The types of inclusions may also be helpful when used to identify the origin of a stone. For example, Burmese rubies have unique inclusions such as unusual crystal formations that identify the stone as having a Burmese origin. African rubies do not have these unique inclusions, but contain their own unique inclusions as the geological processes of their formation were different from their Burmese cousins. Many gemstones even have inclusions which are considered valuable, such as the silk seen in fine rubies, the rutile in colorless quartz and the prized horsetails found in Russian demantoid garnet. Most gemstones have tiny natural irregularities called inclusions. Most inclusions are not visible to the naked eye; usually 10X magnification is required to see these inclusions. However, larger inclusions can be seen with the naked eye. These irregularities may be substances such as unfilled cavities, small crystals, fractures or growth patterns within the gem. Cavities: These may be formed during the gem's primary growth or its later growth. These inclusions can be filled by combinations liquids, gasses or solids. Growth Phenomena: A few examples of these are solid crystals, natural glass and limonite tubes (hollow channels stained by iron compounds). Solids: A few examples of these are solid crystals, natural glass and white mica inclusions. Most gemstones have some inclusions, and some stones have more inclusions than others. For example, emeralds are known to be much more included than sapphires. Here is a table that lists the basic inclusion frequency in common gemstones. For more detailed information, view our gemstone clarity table, or our gemstone clarity scale. Green Apatite and Yellow Golden Apatite are cleaner. 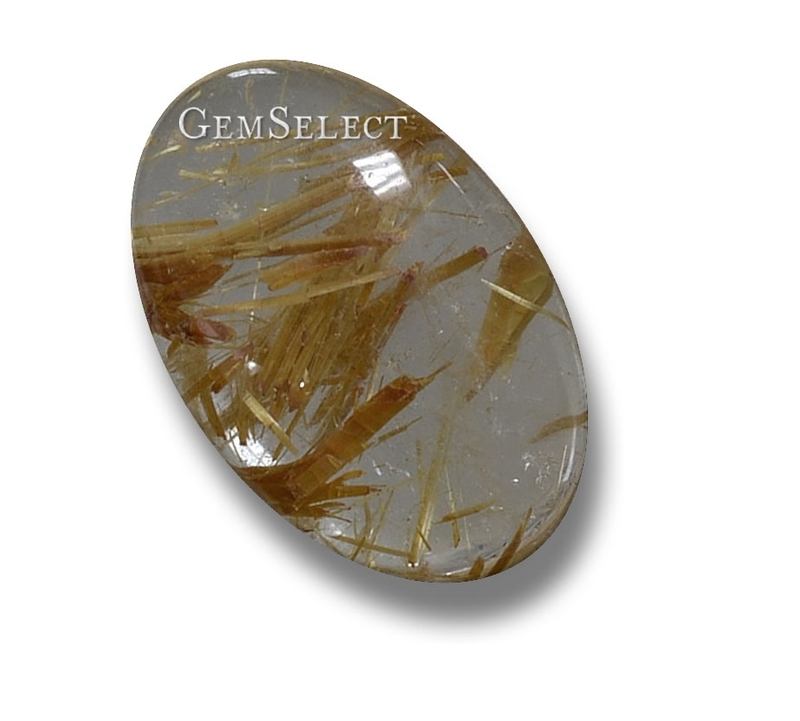 Stones either are cut with facets, or are non-faceted, such as the cabochon cut. The cabochon cut is a facetless cut that produces a smooth surface. Usually, this is a rounded dome shape, or sometimes a square dome shape. Cabochons are growing in popularity again, as many people prefer the more subtle, softer look of the cabochon. Some gem lovers claim cabochon cuts have stronger, healthier colors. Of course, stones are more commonly cut with facets. The angle, number, and placement of the facets is carefully planned to allow the most light to be reflected, so that color and brilliance are best displayed. The brilliant cut or diamond cut is popular for many colored gemstones. It ensures that the maximum amount of light is reflected out through the front (table) of the gemstone, displaying brilliance. In order to heighten light refraction, the brilliant cut has many facets. The oval preserves the maximum carat weight. Step cuts feature trapezoid or rectangular facets in concentric rows, but there are many modified variations of this faceting style available today. Step-cut gemstones can be in any shape, including round, oval, pear or octagonal outlined gemstones. The emerald cut is a classic example of a step-cut faceting style seen in colored gemstones today. Mixed-cut stones are a mixture of different faceting styles, ranging from round, oval or square diamond-cuts, combined with a scissor cut or a step cut. Mixed-cut gemstones can even be combined with a plain-cut, such as a buff-top cut gemstone which features a faceted pavilion and domed cabochon top. Rose-cut gemstones feature a faceted domed crown, combined with a flat-cut bottom similar to a cabochon. Checkerboard-cut gemstones feature a traditional faceted pavilion, and a rose-cut-style crown. Mixed-cut gemstones do not usually feature different cutting styles on the same side, but instead, will tend to have one side cut in one manner and the other finished with another style, such as a plain side and one faceted side. Dark-colored gemstones, and those that are translucent or opaque, such as opal and jade are often cut en cabochon rather than faceted. 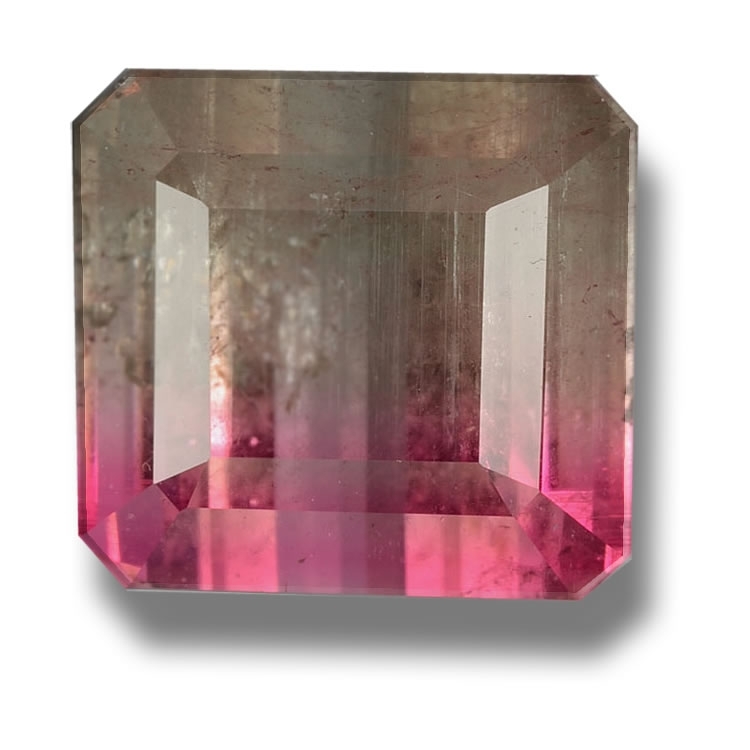 This cut is also used to display such effects as seen in cat's eye gemstones and asterism or star gemstones (chatoyancy). In addition, stones that are heavily included may be cut en cabochon, since it is a better cut for hiding unattractive inclusions. Cabochons have a smooth, rounded surface with no facets. The bottom of the stone is usually flat or almost flat. Plain-cut gemstones can be spherical gems, simply sliced gems, or even just partially worked and/or polished.